The requirements for the Video Record component of a CCTV system, to achieve TRUSTED© status in Forensic Surveillance use. A range of basic forms designed for recording useful 'profiling' information. 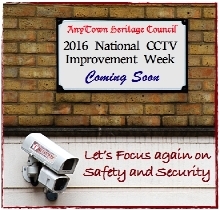 The UK's first ever National CCTV Improvement Week was held on the 6th - 12th May 2012. Document designed for evaluating the CCTV's Operational Objectives on site and in key areas within the site. 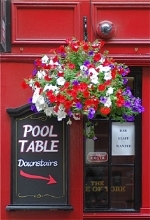 Document intended to help evaluate the Operational Objectives for a specific CCTV camera location, within a site. 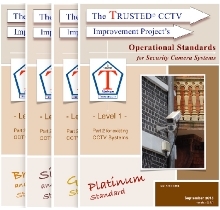 A selection of Doktor Jon's original authored documents and webpages relating specifically to various aspects of CCTV Improvement work! ... in progress!! The following original documents were produced by Doktor Jon for NCIW 2012 to help users test and evaluate the effectiveness of their own security camera systems. Please Note:- some of the .pdf documents detailed below will need a password to gain access - where indicated ( PW ), please contact DJ to obtain the specific password required to open the file. retention periods for various situations. TRUSTED Classifications, Product Marks, and more detailed CCTV Notification. "Target Recognition Using Surveillance Technology for Evidence and Detection"